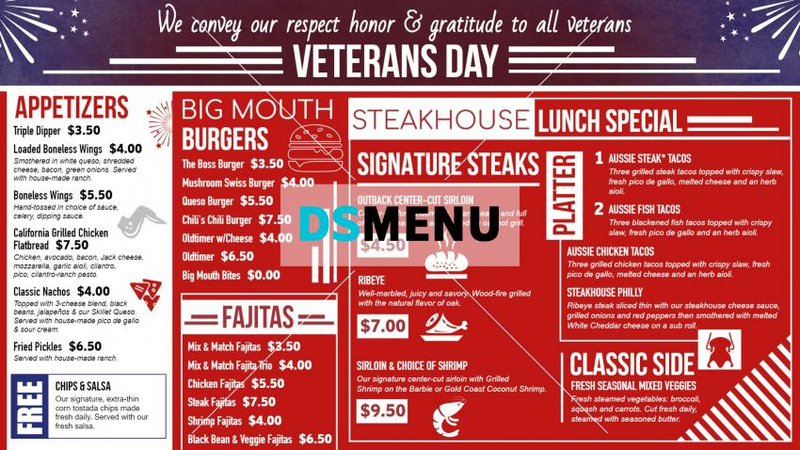 A bold and flamboyant Veteran’s Day menu board. The red and white colors are perfectly complimented. The blue strip above provides an excellent contrast. The menu too is great with steaks, burgers, Fajitas and a host of Mexican favorites. On a digital signage board this template is a steal !